The runaway success of the Eyemouth Fort installation at the Eyemouth Museum (achieving a 48% increase in visitor numbers year on year!) has lead to an invitation to present the work to the movers and shakers in parliment. On the 8th of October 2014 Friends of the Fort, the Open Virtual Worlds Group and SCAPE were invited to Holyrood to spend an evening talking about the different collaborations that have put “Eyemouth Back on the Map” (the title of the evening). 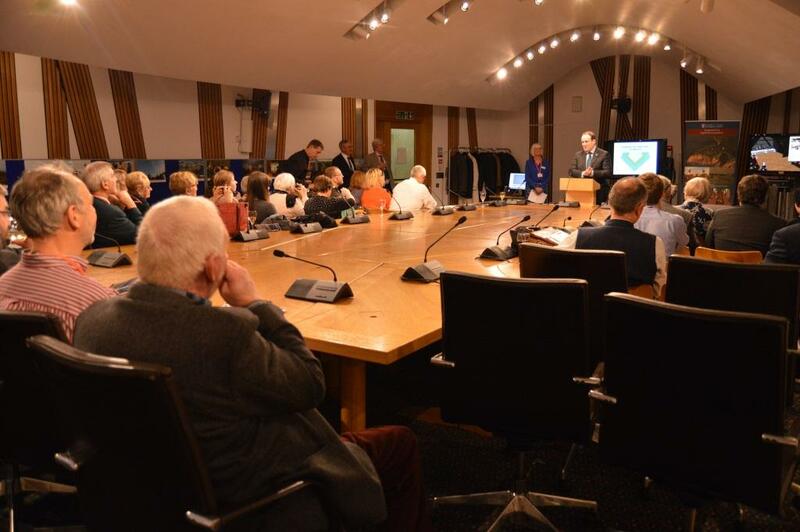 Presentation on the Eyemouth Fort Project at Holyrood, Scottish Parliament. The Eyemouth Fort installation is part of the Virtual Histories project.